We’ve put a FlexiSpot standing desk through an extended test and we’re happy to report that if you’re in the market for a really flexible and back-friendly work space, it’s a fantastic option. 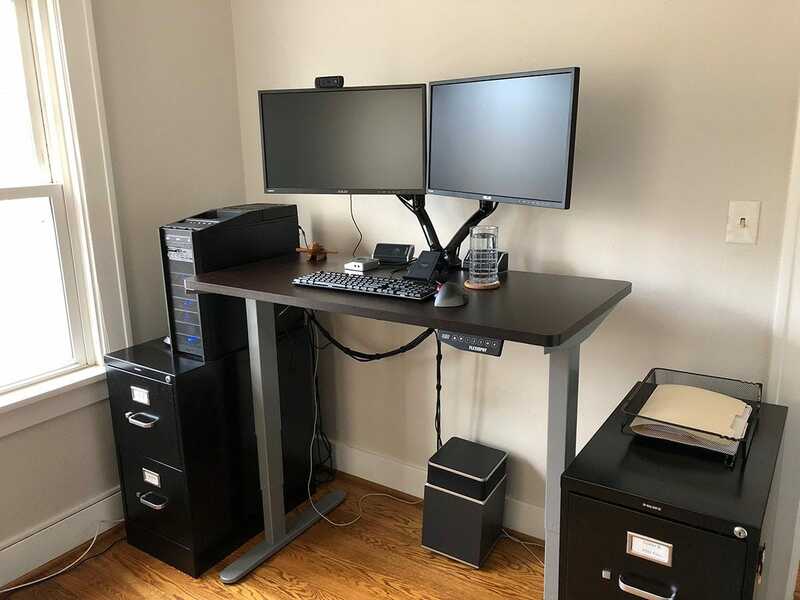 If you’re already familiar with standing desks, this section might not be of particular interest to you and you may want to skip right into the details of our review below. If you’ve never used a standing desk before or are unfamiliar with the trend, however, a quick primer is in order. Standing desks have been around for ages (there are many lovely antique examples of them from the 18th and 19th centuries) and in some professions, like drafting, they’ve been a staple for decades, but it was only recently (around 2008-2010) that there was a resurgence in interest in standing desks. 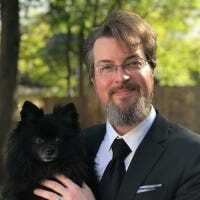 The argument for standing desks is that they make it easy to have better posture (it’s easier to keep your spine and general body aligned while standing), it helps with back pain from sitting at a desk for too long (a benefit I, as a long time standing desk user can certainly attest to), and it encourages you to move more (when standing you shift about and are less reluctant to move since you’re already on your feet). Flexibility in how you work is an important element of workplace ergonomics and health—an adjustable sit/stand desk is a great way to introduce easy flexibility into your work space. Even manufacturers of standing desks, however, will tell you that standing all the time instead of sitting all the time can come with it’s own host of issues including, naturally, aching feet. It’s just not healthy for our bodies to be in the same position for too long. 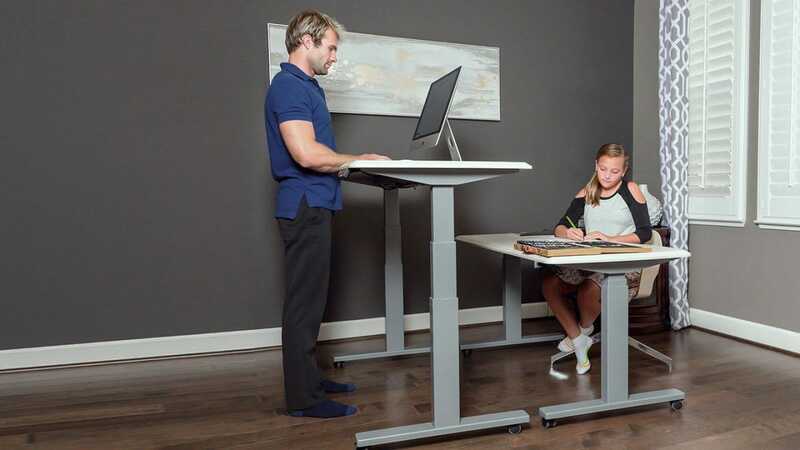 With that in mind, if you’re in the market for a new desk there’s a lot to be said for selecting a desk that offers the flexibility to sit, stand, or even use your desk in a less conventional way like walking on a treadmill or cycling in place. That’s the kind of flexible arrangement that an adjustable sit-stand desk from FlexiSpot provides. Flexible arrangement or not, though, the $560 price point for a full kit (electronic legs + work surface) is a chunk of change. Let’s run through our experience assembling and using the desk to help you decide if it’s worth it. All of FlexiSpot’s full-size desks, including the one we’re using, ship to you in three pieces across two boxes (one box with the heavy metal legs and one box with the sturdy work surface). You don’t have to buy the top from them—you could use any solid work surface you can drill pilot holes into and secure to the legs with screws—but their desk surfaces are very nice and come pre-drilled and ready to go. Assembly is a snap if you can handle screwing in some screws and hex bolts to secure the bottom of the legs to the post and then the posts to the desk. In fact, the assembly process went so smoothly the only picture we snapped was of the bag full of fasteners. By the time we stopped to think about snapping another picture we were already done. The only challenging part of the assembly process is keeping the legs stable while you set the work surface on top. We’d recommend having a friend hold it steady for you, as assembling the desk on its back and flipping it over (like you could do with a light weight table) isn’t a very good option for this very sturdy and bottom heavy desk. 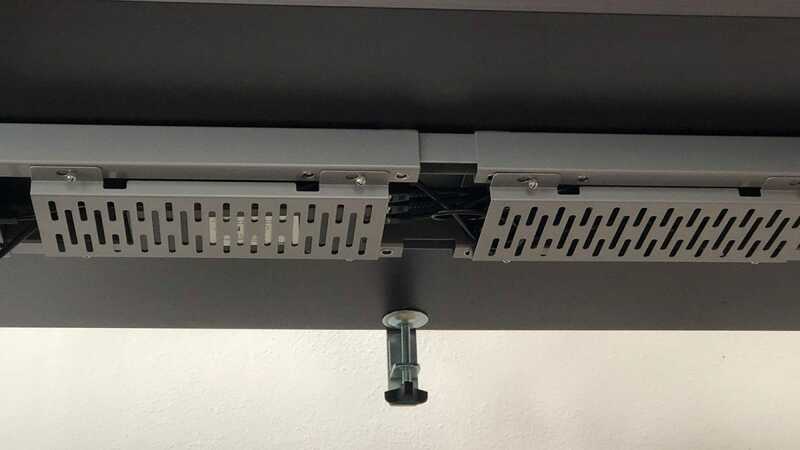 Once you’ve got the top on, it’s simply a matter of plugging the power cables for the two leg motors into the central box, plugging the control panel (which you screw to the edge of the desk) into the central box, and plugging the whole thing into the wall. It’s all well and good that the product is packaged extremely well and easy to assemble, but that only covers the first few hours of owning a desk. What follows is typically years of daily use before you even consider replacement (and most of us use our desks until they fall apart). 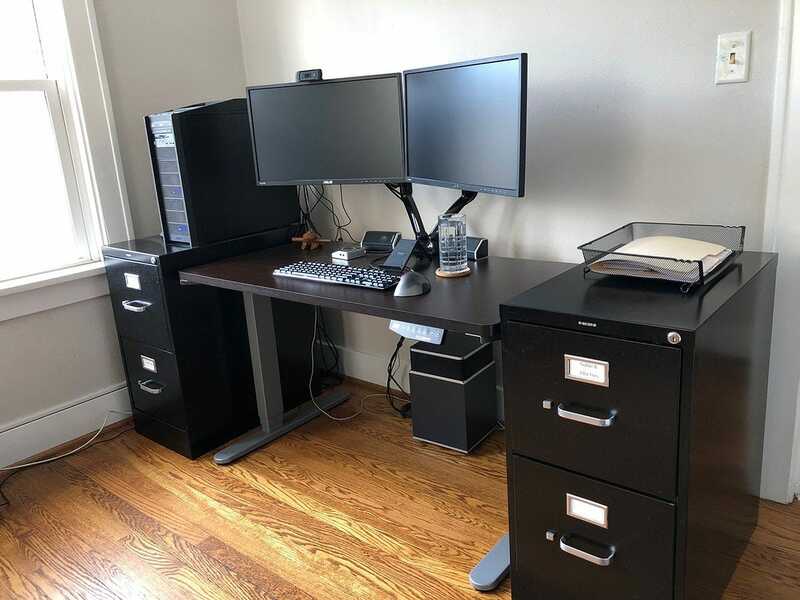 In light of that, how a desk holds up to daily use for an extended period of time—especially a desk with moving parts and different functions like an electronic standing desk—is of particular interest to anyone considering sinking hundreds of dollars into such a purchase. As such, we didn’t test the desk for a weekend and call it good (we’re veteran standing desk users after all) we used the FlexiSpot desk as our sole office work station for months to ensure it lived up to our expectations. Rather than drone on through some technical specs, let’s look at how we use the desk on a daily basis to highlight key features. Naturally, the control panel is the heart of the user experience. From left to right, you have a simple numeric display, the manual up/down height adjustment buttons, three preset buttons 1, 2, and 3, then M (for Memory) and A (for Alarm). Once you’ve fiddled with the manual height adjustment and found a particular height that is well suited for your current position, you can press the memory button and then select one of the preset buttons to lock it in. While you might program the different heights for different people if you’re sharing the work station, we programmed them for three different positions for one person: sitting on an exercise ball, sitting in a regular office chair, and standing. The alarm function is a simple reminder tool that allows you to set reminders from 1-99 minutes. The purpose of the alarm function is to remind you to switch positions or take a break. So how does this all play out during a typical work day? At the start of the work day we might hit the 3 button to send the desk to full standing height so we can stretch a little in place while we read over the morning news, check out product announcements, and check our email. It’s handy here to not only set the Alarm function to shift into a seated position later (button 2), but also to remind us to shift gears to different work (and perhaps grab some more coffee first). Later, when we’ve sat for a spell and another chime reminds us to get moving, we can switch back to standing (button 3) or switch to using an exercise ball (button 1) to work a little stability exercises and stretches into our day. The best part about all the changes is that the FlexiSpot motor system is smooth, fast, and quiet. When you press the button to shift positions, unless you’re looking directly at the desk and paying attention to the process, it’s so quiet and quick you’ll hardly notice it. Over all we’ve had such a great experience with the FlexiSpot desk we’ve done nothing but rave about it to our friends and family. The ability to easily shift between different heights and to do so quickly and without the desk shaking, groaning, or taking ages to adjust to a new position, encourages us to frequently change positions throughout the day. If you want a desk you can stand at, sit at, toss in a wobble board and exercise ball to mix things up or even, if you want to get even more non-traditional, add in a stationary bike or treadmill, FlexiSpot has you covered. 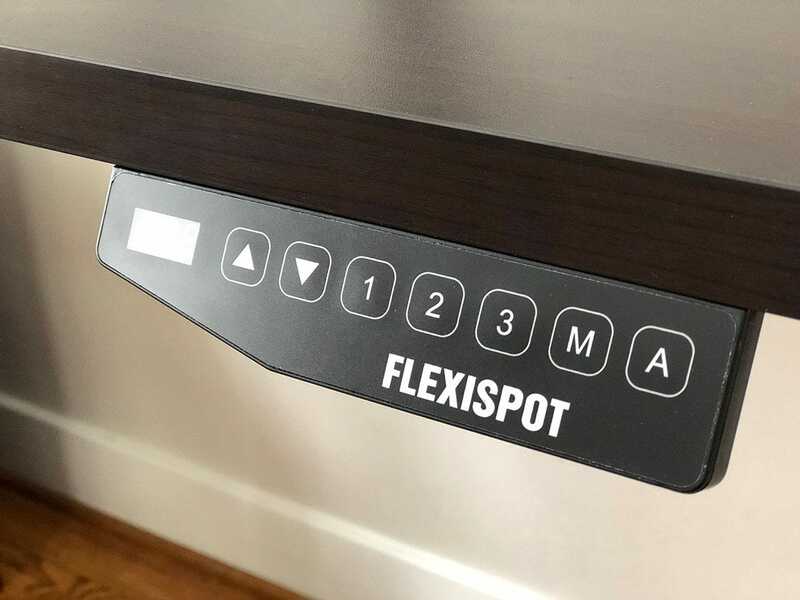 If you’d like to read more about the full FlexiSpot lineup, you can hit up their website here or, if you’d like to jump right into purchasing the same desk we’ve been so pleased with, you can grab it right off Amazon here.